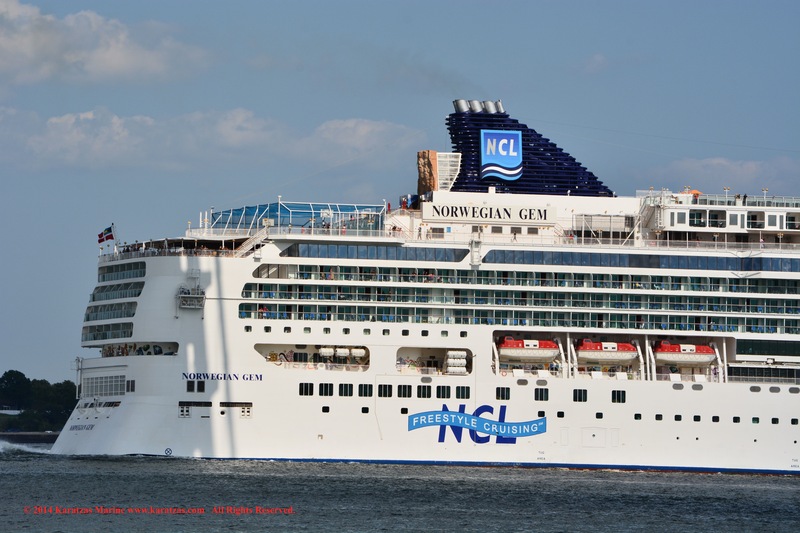 Posted on August 10, 2014 by Karatzas Marine Advisors & Co. 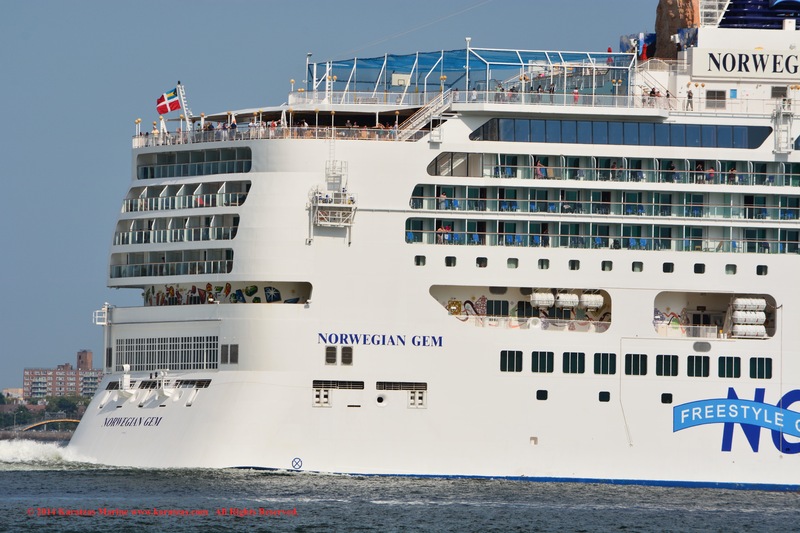 IDENTIFICATION: Launch Name was Norwegian Gem. Call Sign C6VG8, IMO Number 9355733. 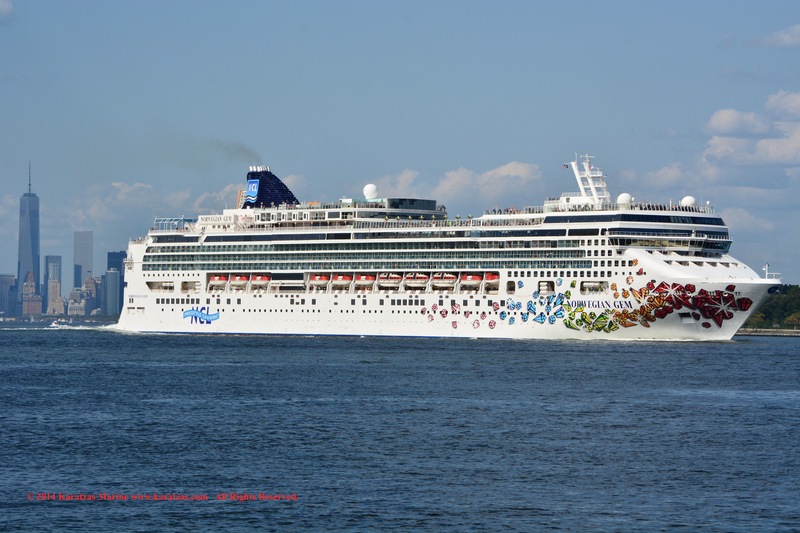 Built at Meyer Werft, Bahamas Flagged, DNV Classed, Length Overall of 294.13 m., Length Between Perpendiculars of 263.50 m., Draught of 8.30 m., Beam of 32.20 m., Gross Tonnage of 93,530, Moulded Depth of 11.50 m., Tonnage of 63,887 International Net and 9,842 Dwt (long). ENGINE DETAILS: Engine Description 4 S.A. 12-cyl., Engine Model 12V48/60B, MAN Engine, Speed of 25.00 kts, Horsepower of 97,848B at 500. 3 Bow Thruster(s). 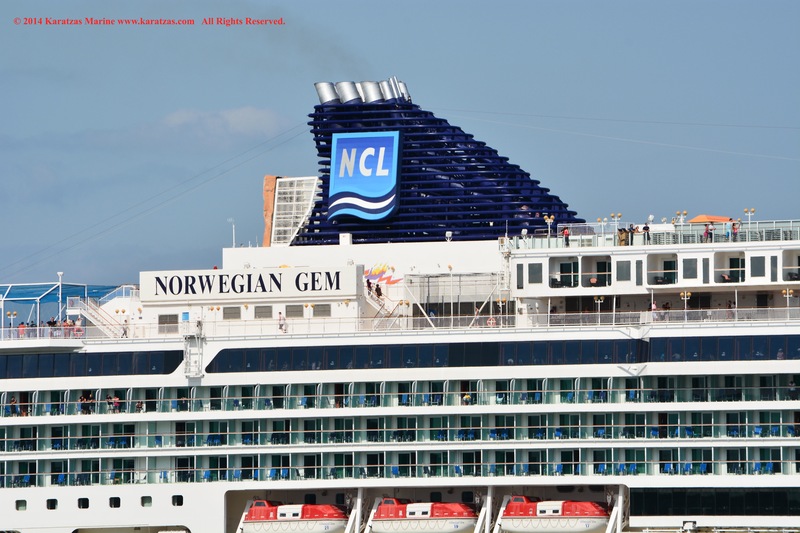 OWNER / MANAGER DETAILS: Norwegian Cruise Line (NCL), URL: http://www.ncl.com. 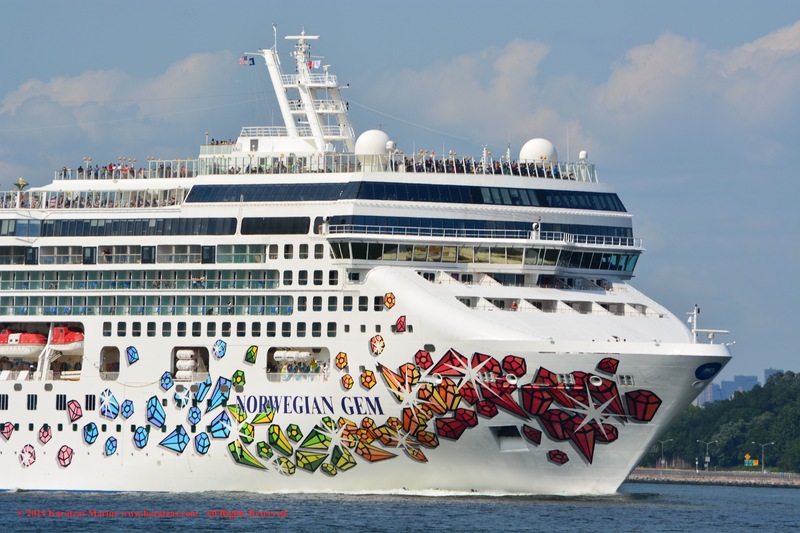 SPECIALIZED DETAILS: Total number of Passengers 2,669, 1188 Passenger Cabins, 2382 Passenger Berths, 1100 Crew. 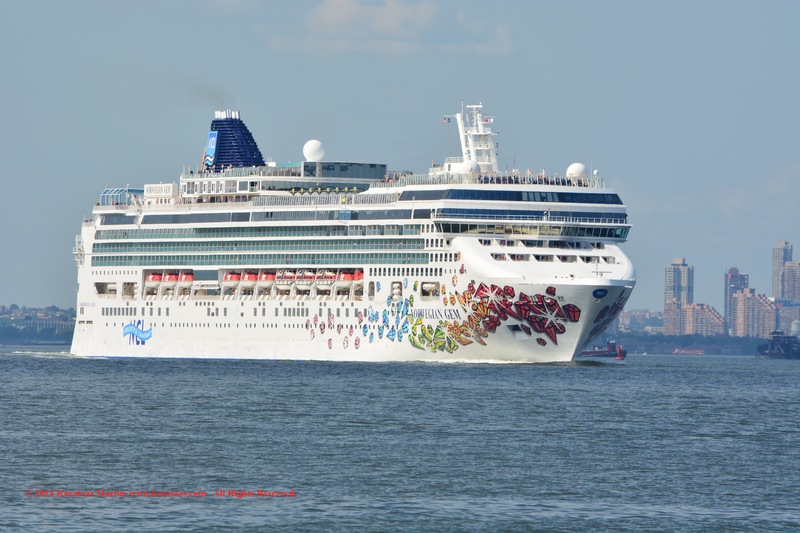 Cruiseship MV ‘Norwegian Gem’ (2,400 berths, built in 2007 at Meyer Werft, Hamburg) departing Manhattan in early August 2014. 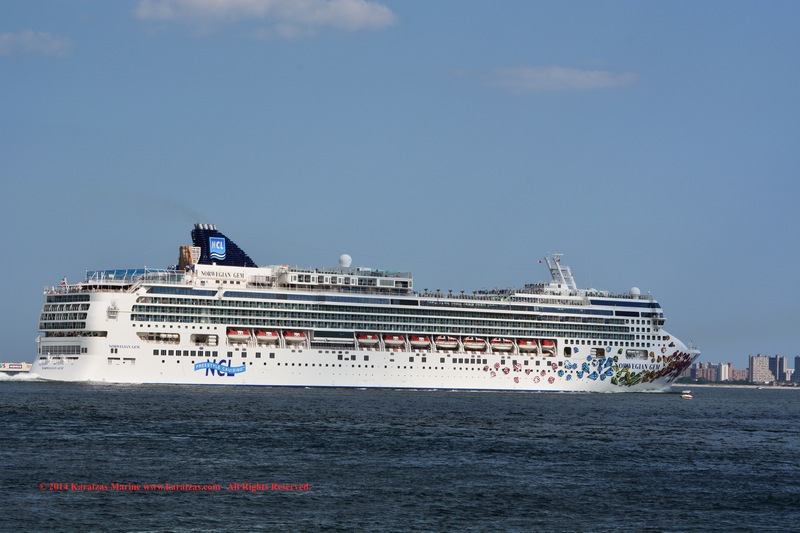 Cruiseship MV ‘Norwegian Gem’ (2,400 berths, built in 2007 at Meyer Werft, Hamburg) departing Manhattan in early August 2014. Skyline of Downtown Manhattan and World Trade Center in the background. 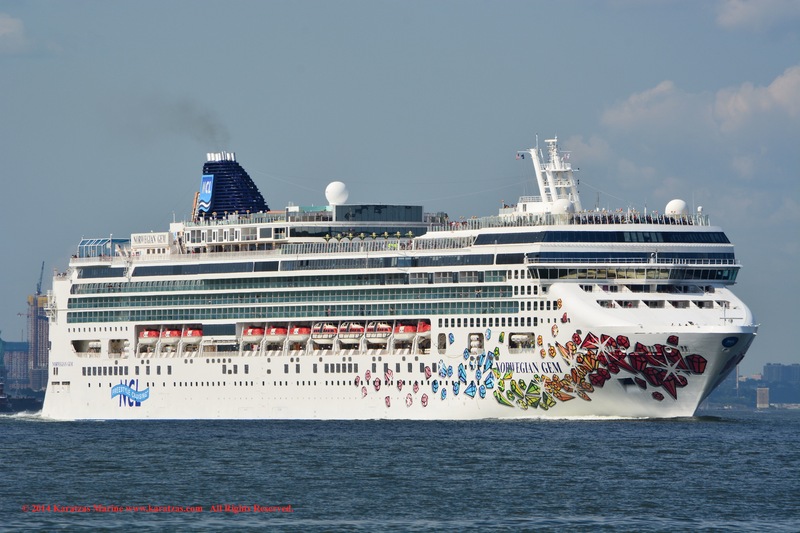 Cruiseship MV ‘Norwegian Gem’ (2,400 berths, built in 2007 at Meyer Werft, Hamburg) departing Manhattan in early August 2014. 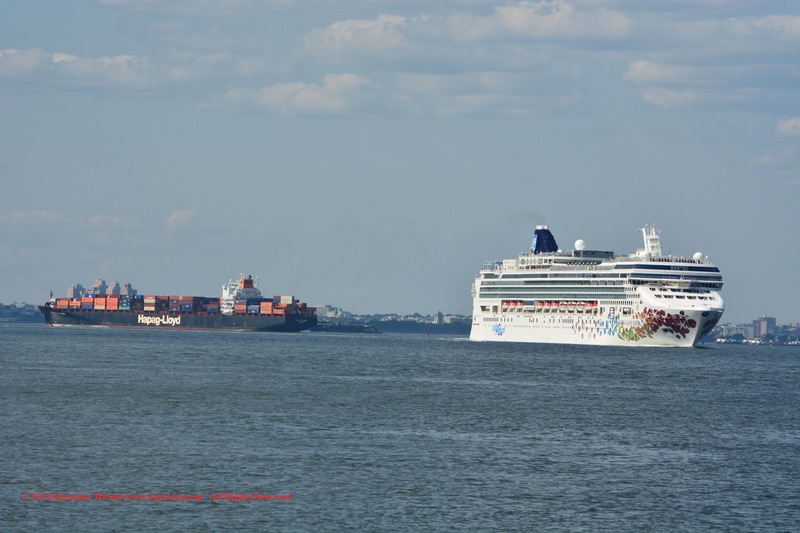 Passing under Verrazano-Narrows Bridge. 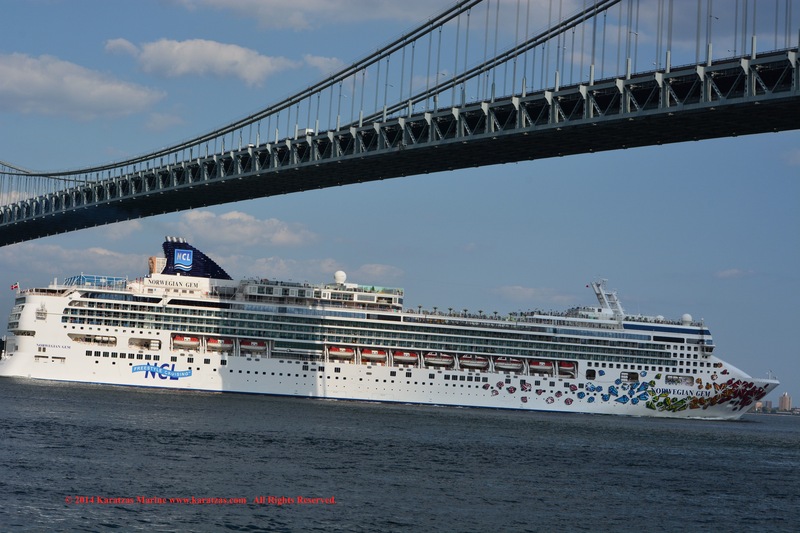 Cruiseship MV ‘Norwegian Gem’ (2,400 berths, built in 2007 at Meyer Werft, Hamburg) departing Manhattan in early August 2014. 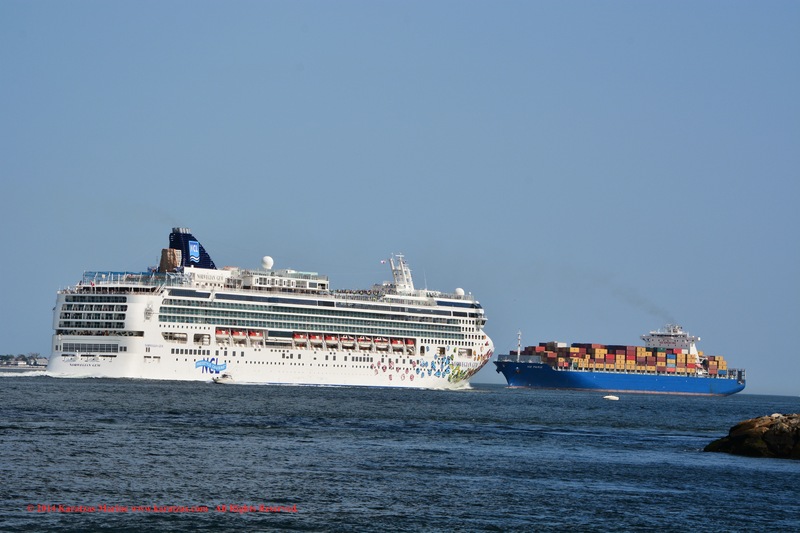 Crossing paths with inbound MV ‘HS Paris’ containership. 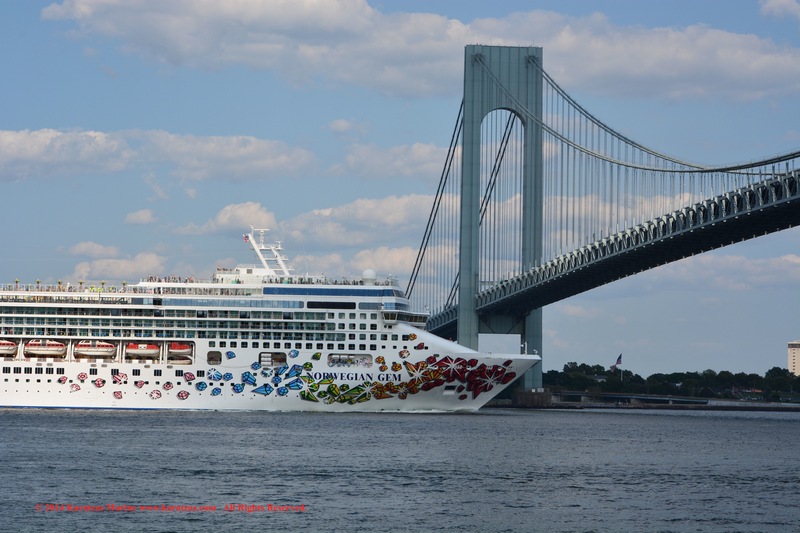 This entry was posted in Cruiseship, Port of New York by Karatzas Marine Advisors & Co.. Bookmark the permalink.